Did you know that some surprising superfoods may be sitting on your Thanksgiving table, even when you’ve been planning on a total gorge-fest? Plus, some of your fave sweet treats have health benefits that will last you long after your Black Friday shopping trip. 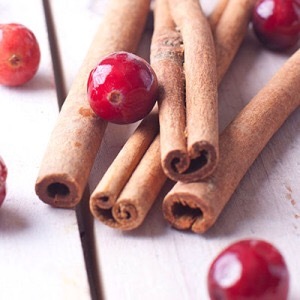 Check out these five surprising Thanksgiving superfoods. The star of the Thanksgiving show is one of the leanest meats around. White meat turkey has long been recommended over dark because of its lower calorie and fat content, but the caloric difference between these two types of meat is actually very small. While dark meat does have a bit more fat than its white counterpart, it still stands out as a Thanksgiving superfood since it’s higher iron, zinc and B-vitamin content. Did you know that pecans have among the highest antioxidant contents in the nut family? These antioxidant properties, which come from the pecan’s high levels of vitamin E, have been shown to protect against free radicals that cause cancer. Pecans also contain healthy fats that may help reduce cholesterol and prevent Type II diabetes. Tart, sweet, and delicious—cranberry sauce is one of my go-to Thanksgiving recipes. The rich antioxidant content of cranberries helps protect your body’s cells from dangerous free radicals that can cause cancer. Emerging research has also shown that cranberries contain compounds that can help prevent infections and reduce LDL cholesterol levels. Try swapping out the white sugar in your favorite cranberry sauce recipe for orange juice and apple sauce to cut a few extra calories, too. Pumpkin’s deep orange color means that it is packed with powerful compounds called carotenoids. Studies have shown that carotenoids are linked to cancer prevention, reduced risk of heart disease and improved vision. Pumpkin is also a great source of fiber—7 grams in a one cup serving! To reduce some of the calories and fat from your slice of pumpkin pie, cut out the crust and go straight for the pumpkin filling by itself. Next Next post: Wine BOGO at Brix this Black Friday! !